Greetings from HGTV! I’m reaching out to make your ASLA chapter aware of HGTV’s newest opportunity for design professionals; the HGTV Fresh Faces of Design Awards. We are celebrating young professionals, age 35 or below, who are doing awesome things in the world of residential design. We’d love to invite those who qualify in your chapter to submit their work for consideration. I’ve attached our digital ad and official PR release if you would be interested in getting the word out to your chapter members. 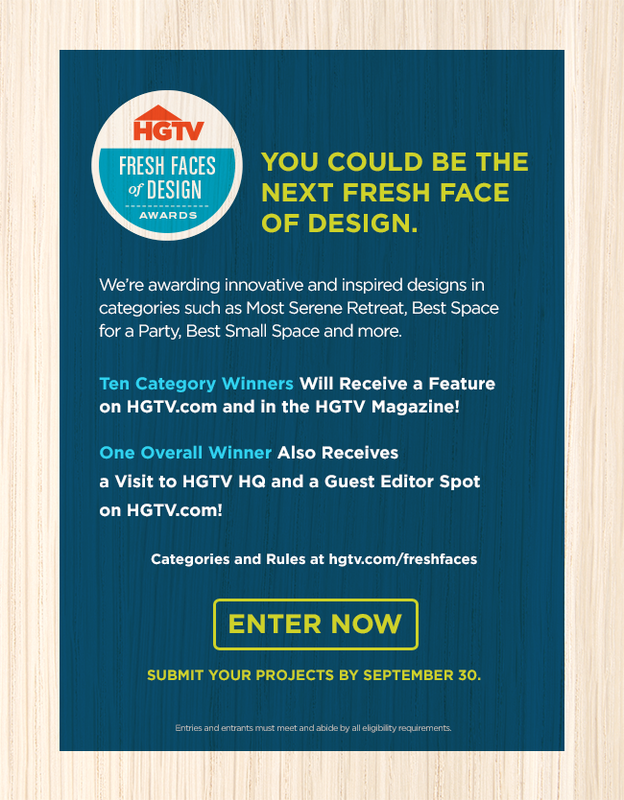 All 10 categories can be found at hgtv.com/freshfaces , as well as more information on how to enter the design competition. The entry period ends September 30th, with our panel of judges selecting six finalists for each category. The category finalists will be posted on HGTV.com for public voting this fall! Please reach out with any questions, I’m happy to provide additional information. This entry was posted in News on September 5, 2014 by rhodeislandasla.